Pinterest is always full of inspiration for all of us regardless of our interest and crazy imaginations. 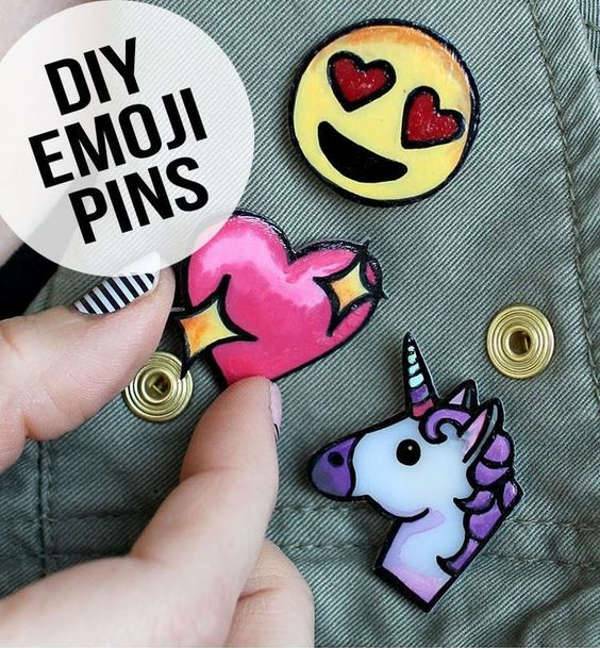 Considering we visit the visually encouraging and appealing social network almost every alternate day, it is useful to know what are the trending topics and things talked across various boards in Pinterest. To give a boost to your creative concepts, we have today compiled a set of 10 things that are hot and trending on Pinterest this month. 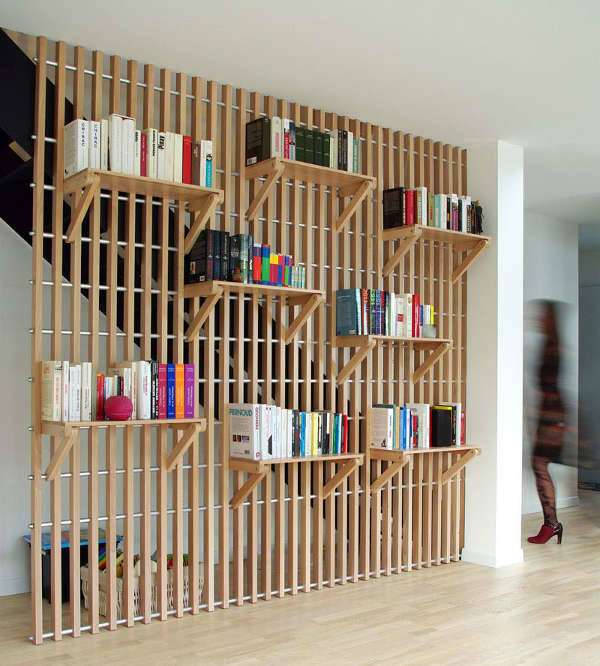 French designer Alexandre Pain created Rossignol, a custom designed wood shelf and railing system that acts as an interesting storage unit for books while simultaneously serving the purpose of a guard rail for the staircase. If you have a contemporary setup in your home, a modern pendant light is one of the must-have accessories to incorporate in your interiors. This sculptural wood pendant light act as a brilliant bedside lamp and an unconventional decorative display for the living room. 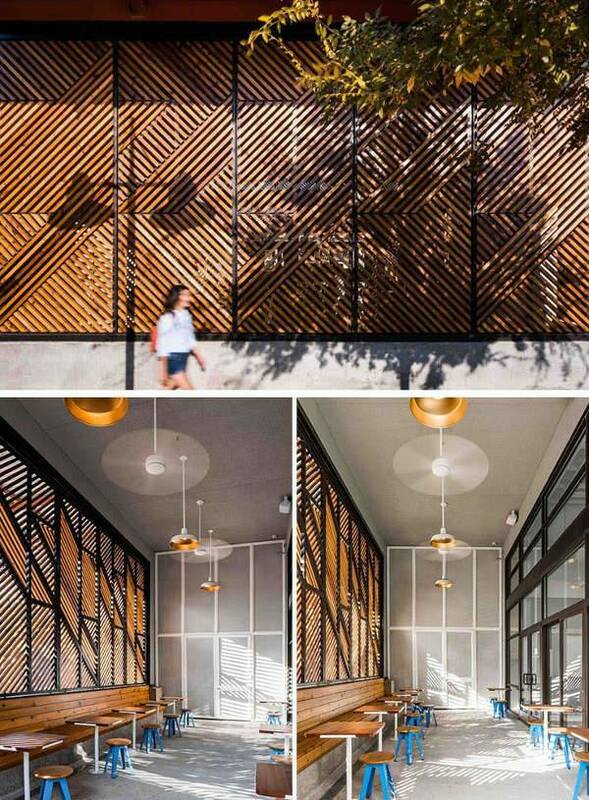 This modern coffee shop design has a houndstooth patterned cedar screen which creates an interesting visual pattern visible both from the street outside and the enclosed patio. Inside the patio, the sunlight filters through the pattern, creating splendid and appealing shadows. 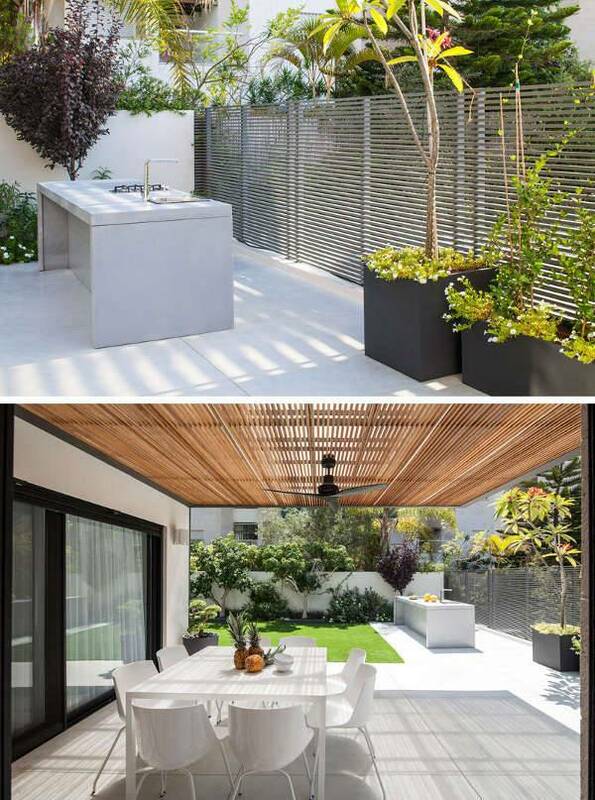 The cedar screen also acts as an effective shield to the street outside. Simple and sophisticated, this modern outdoor kitchen has a simple work area with a functional cooktop and a place to sit and enjoy a meal. Neutral and subtle in color, the layout will work well with almost all decor options. 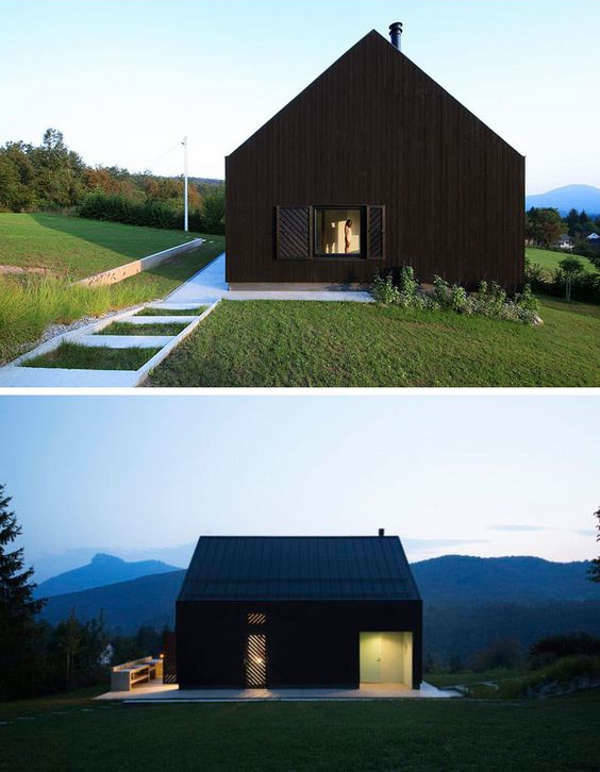 If you are looking for something edgy and out of the box, this modern black house is just the right fit. 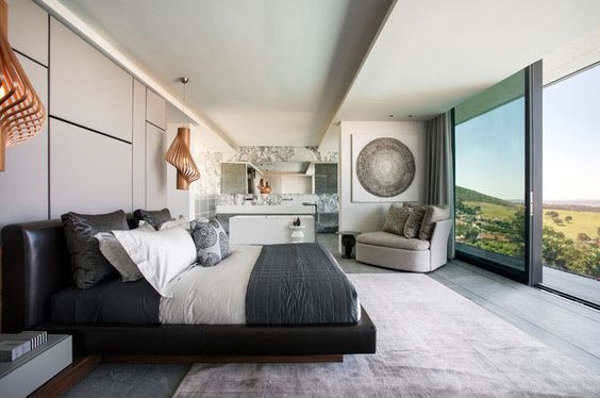 Situated on a slope in the countryside of Croatia, the white and lofty interior bring a brilliant contrast to the bold and dark exterior. Graphic and textual pillows have been pushed to the backend with this interesting new entrant that can literally be explained as the knotted pillows. 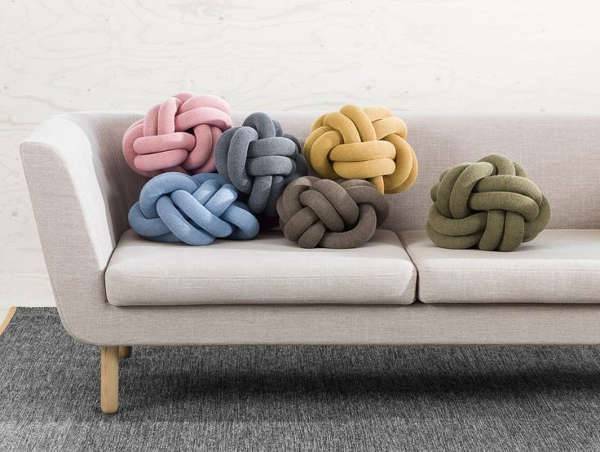 Lending sculptural and textual vibes, the knotted pillows have been growing in popularity with more than 350 thousand saves in Pinterest itself. 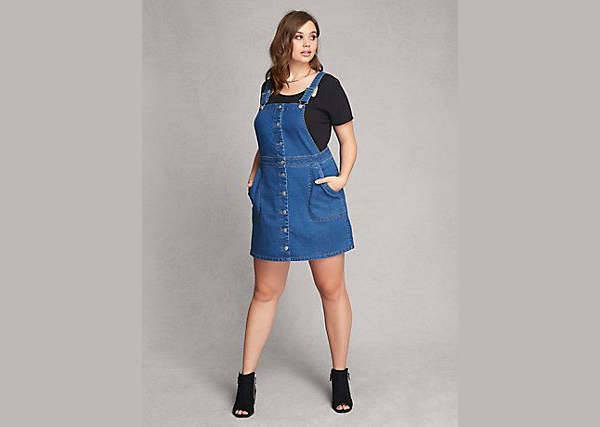 If you think the regular overalls are coming out to be too tomboy for you, try the feminine alternatives that can fit well with a number of style choices. The countless number of options available both online and in the market have already made the dress everyone’s style shortlist for spring. 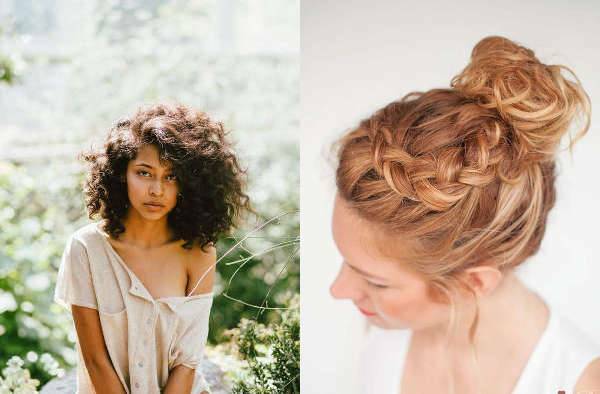 Half up buns, braided top knots offer a twist to the regular simple bun hairstyle. Also, the no-heat hairstyles have been the top favorite of the season. You can just say no to your blow dryer and enjoy the effortless and easy to do hairstyles this spring. Lapel pins have been making a comeback on the runway and these DIY lapel pins are easy to make with plastic shrink film. Fun to wear and pair, the lapel pins can be tailor designed to your personal preference. Pick your favorite emoji and wear or give them as gifts. If you are enthusiastic about green and love to indulge in gardening, this Pinterest trend highlight is perfect for you. 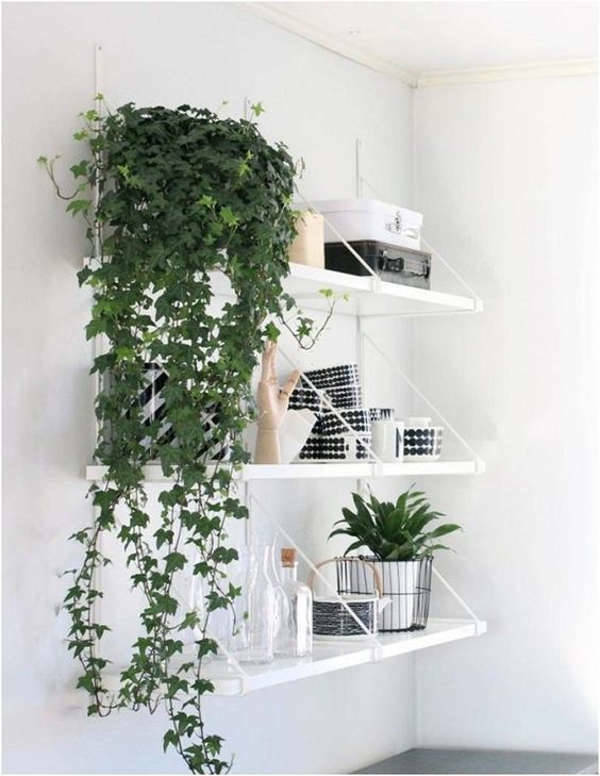 Indoor vines and climbers are not just easy to grow but also help to give your home a lot of definition. Take your creative cue from the designs mentioned above and bring the needed restorative change for the season.